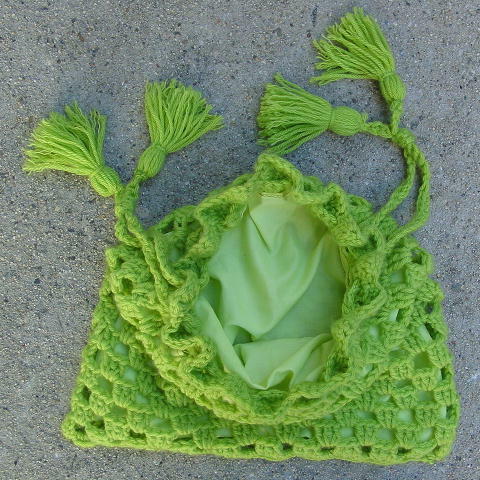 This vintage handmade soft knit purse is in a chartreuse color. It has a light green polyester lining. 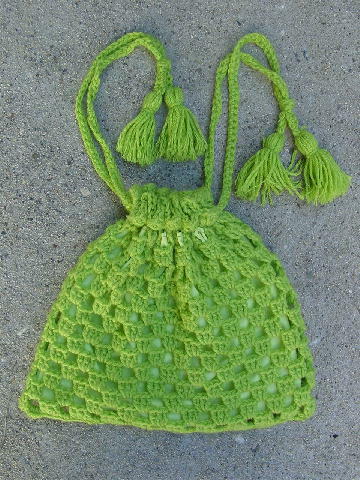 There is a double drawstring closure with two tassels on each end. One side has a few light age spots on the yarn on the left. It has an eyecatching color and is light in weight. It's not made to hold heavy items.